Our Porter features a blend of roasted and caramelized malts giving it a luscious malt signature that has an earthiness derived from the non-traditional use of ­flaked barley in the grain bill. The bold use of only Simcoe hops for both bittering and aroma highlights this hop varietal and balances the malt to create a robust, yet smooth finishing porter. Long ago, the owner gave his first employee, Chris Dooley, the honor of selecting the next beer style to produce. Dooley (never call him Chris) chose porter. 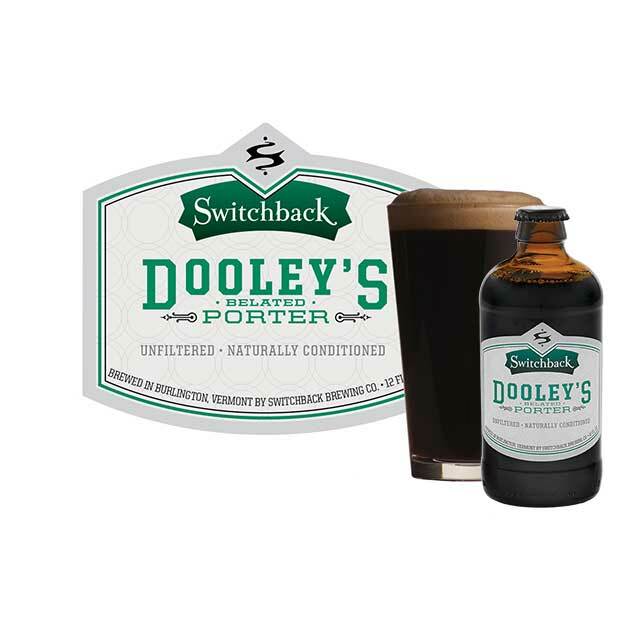 However, the demand for Switchback Ale, our fl­agship brew, exceeded our capacity, preventing the release of this new beer for FIVE years. Our first kegs of Porter were finally sold in December 2009. Considering this long delay, we christened it Dooley’s Belated Porter.